Inside the Cockeyed Press studio. Cockeyed Press was founded in 1995 in a Greenwich Village loft formerly the darkroom/studio of American photographer Berenice Abbott. 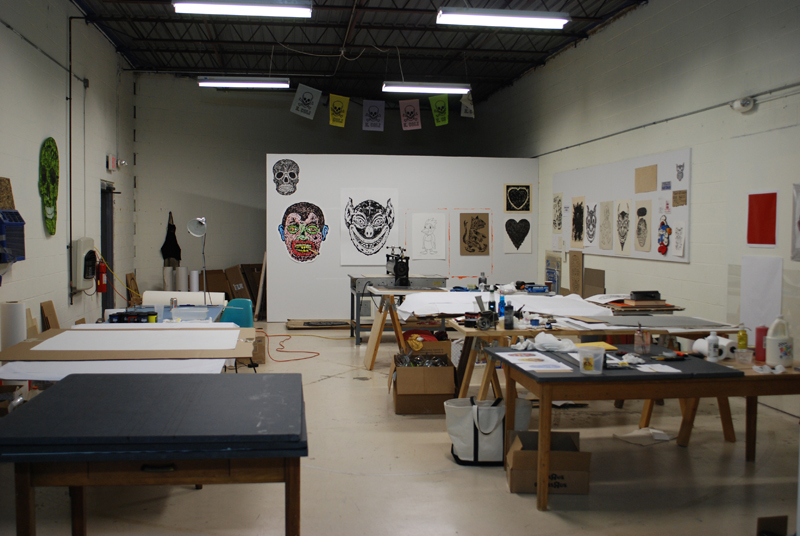 In 2007 the press relocated to Durham, North Carolina and in 2012 it was absorbed by Supergraphic, a printmaking studio also in Durham.